LA Hughes provides backflow prevention valve installation and testing throughout the greater Auckland area. We can also visit your property to test for problems relating to backflow, and recommend and install a suitable backflow protection device for your situation. In compliance with the Building Code, we are authorised to carry out and provide annual backflow certification. Backflow prevention devices prevent the contamination of water supply by pollutants flowing into the water supply from commercial and residential properties. For many businesses and premises, these devices are required in order to meet Building Code Compliance. The team at LA Hughes are qualified in the proper installation of backflow prevention devices. Backflow is the contamination of fresh water supplies caused by pollutants (e.g. anything from sewage to commercial waste) being drawn back up from a water outlet and into the water supply system. To prevent backflow in a water supply system where this may be an issue, a backflow prevention device should be installed. While larger businesses are often aware of their need for compliance, some smaller businesses, e.g. commercial kitchens and hair salons, may not be. LA Hughes is fully qualified to legally carry out all of your backflow requirements from the installation to testing, maintenance and issuing of certification. Contact us to find out your water retention and backflow obligations under the current Building Code. 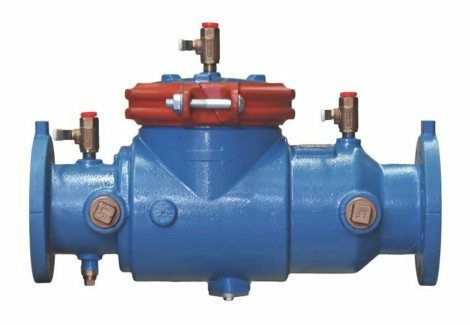 In order to meet Section 12A of the Building Code, each backflow prevention device must be tested yearly by an Independently Qualified Person (IQP). This testing must be accompanied by a Backflow Prevention Certificate of Compliance. The yearly Backflow Prevention Certificate of Compliance must be submitted to Watercare. LA Hughes is an IQP; that is, we are qualified to inspect, test and certify your backflow protection device. Backflow prevention device testing is both a compliance and health issue to ensure the drinking water supply is protected from backflow and contamination. A properly performing backflow device also ensures no water pressure problems inside your home or business. We will visit your home or business annually, test your backflow device, complete any adjustments or repairs if necessary, and issue a Backflow Certificate of Compliance. The unexpected failure of a backflow prevention device can have terrible consequences on the mains water supply and can result in prosecution from the local council – backflow prevention valve testing is essential. The LA Hughes team provides regular testing of your backflow prevention device ensuring it is operating at peak efficiency, and will repair or replace if required. Water is delivered into all properties (commercial and residential) under mains pressure. If that mains pressure fails, liquid from a contaminated source can be drawn back into the water supply. This could create a serious risk to public health. Heavy water usage downstream in the main causing supply pressure reduction upstream. Because backflow can cause serious health problems, backflow prevention devices must be tested yearly by a qualified plumber. The home or business owner is responsible for engaging a plumber to perform maintenance and testing of the backflow prevention devices installed on their property(s). We wanted to upgrade our hot water system. Luke came and talked to us about our options so we could make an informed choice. He provided us with a fast, efficient service which was reasonably priced.